While market leaders and fast followers have not yet achieved mass personalisation, the next rush is focused on investments in artificial intelligence (see Figure 1). Searching for a competitive advantage and fearful of disruption, board rooms and CXOs have rushed to artificial intelligence as the next big thing. The investment in pilots for AI’s subsets of machine learning, deep learning, natural language processing, and cognitive computing have moved from science projects to new digital business models powered by smart services. Large corpus of data. The battle for large data sets has nothing to do with having more data. The goal is to build the largest graph that maps the connections to data. More data should improve the precision of insights and allow for more patterns to emerge. Massive compute power. Winners will have access or own cheap compute power. The ultimate metric for AI rests in pricing not by just compute power, but potentially cost per kilowatt hour. So the cheapest rate of compute power may determine the cost structure for AI smart services. Time. There is no substitute for time. Early adopters gain an advantage of time. Algorithms need time to improve. Data set gathering requires time for better precision. More interactions in the network depend on time. Awesome math talent. The discovery of patterns, creation of new algorithms, and the ability to apply human intuition to compute requires great math talent. People enable artificial intelligence. Algorithms are only as good as the math talent. Success will require the hiring of digital artisans – those who can balance right brain and left brain expertise. Industry specific expertise. Industry vertical experience will emerge as the key differentiator in AI smart services. 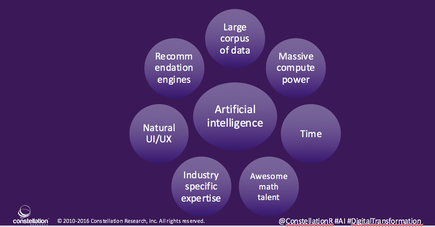 The more advanced and specialized the AI system, the more relevance to the end users. Natural user interfaces and user experiences. 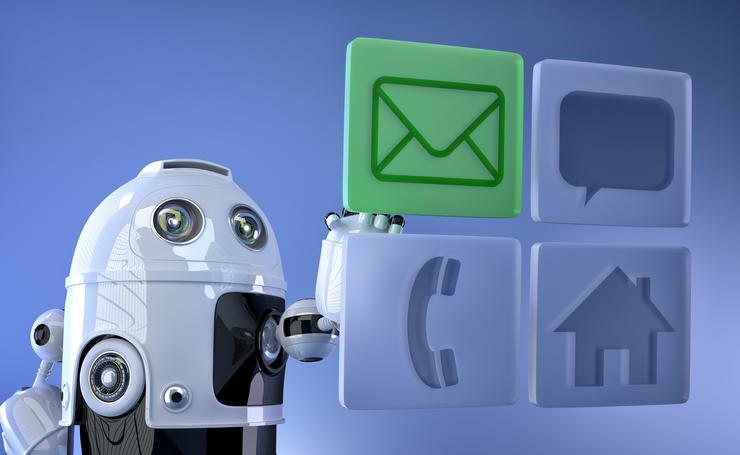 Expect AI systems to mimic human interaction going forward. From sensory capabilities, to visualization, to voice, to gesture, the interfaces will improve in human and natural like capabilities. Recommendation engines. The output of AI comes to precision decisions. 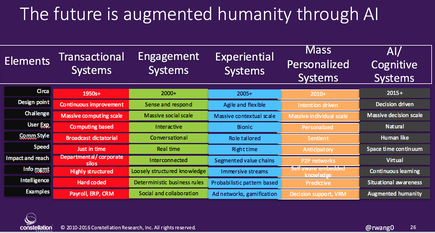 AI systems augment humanity. The recommendation engines that emerge will enable choices, accelerate decision making, and ultimately provide filters that deliver situational awareness. Moreover, the value in AI will come from the smart services that emerge through digital transformation projects. More than just automation, these AI driven smart services will power the future business models. Thus, winners will secure the seven critical success factors and create the network economies that will dominate their industries. 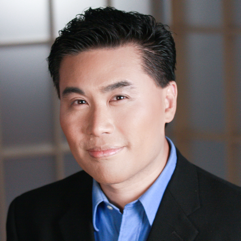 R “Ray” Wang is the principal analyst, founder and chairman of Constellation Research, which focuses on disruptive technologies. Reach him via email: R (at) ConstellationR (dot) com or R (at) SoftwareInsider (dot) org. This article is reprinted with permission from Constellation Research.